A serial entrepreneur, Rodolfo has a proven track record in the apparel business. He led Men's Design for Callaway and Tommy Bahama and founded several very successful apparel brands, including Cutter & Buck, Bench, and Resort II. Bennett has 20+ years of Digital/Direct Marketing experience in the technology, retail, & consumer goods industries heading up eCommerce, Email, Website, and Social Media programs for iconic brands such as Amazon.com, Nordstrom, and Clarisonic. Very actively involved in daily operations, including selecting the softest fabrics for napping. Industry veteran with masterful merchandising skills, ensuring Buki product is merchandised well, pricing is sharp, and logistics are efficient. Seasoned design professional with 12+ years experience in men’s and print design. Ensures our Buki Men’s product is best-in-class. Also provides our in-house photography. Seasoned design professional with 15+ years experience in women’s and men’s design. Ensures our Buki Women’s product is luxurious, stylish, and supremely comfortable. Supports all of our retail, eCommerce, and marketing efforts and helping to bring our Buki Wardrobe Revolution near you. Also provides art direction at our in-house photo shoots. Supports wholesale sales team and their accounts, providing best-in-class service. 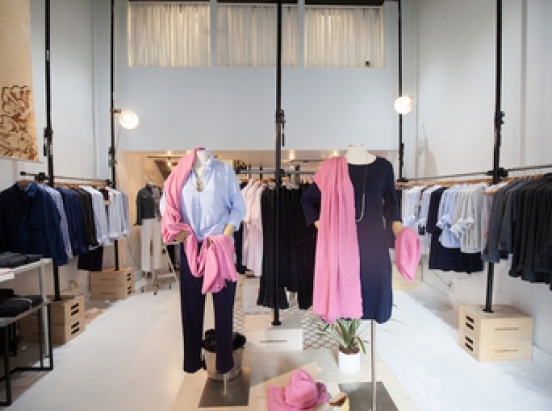 Oversees our Buki Flagship Retail store and bringing our Buki Wardrobe Revolution to life. Seasoned executive supporting our retail sales and marketing efforts and ensuring every customer has a smooth, unforgettable experience. Seasoned sales executive leading our Buki women’s wholesale sales organization. Mr. Zuckerman was so inspired by Buki, he came out of retirement to help share our Wardrobe Revolution with high-end speciality retail boutiques across the country. Seasoned sales executive leading our East Coast Buki Men’s wholesale sales organization. World-class sales, marketing, and business development professional with an uncanny ability to cultivate great relationships. Experienced sales executive leading our West Coast Buki Men’s wholesale sales organization. He is leveraging his history of working in better men’s wholesale and is highly skilled in building strong relationships. Managing Director of Kabuki Strategy and seasoned strategic executive providing guidance on markets, opportunities, and go-to market strategies. $5,000 - 15% lifetime discount. Invitation to design a Buki product that will be named after you. Plus, Two Buki Hoodies +Two Buki T-Shirts + Two Buki Pants. $10,000 - 20% lifetime discount. Invitation to design a Buki product that will be named after you, dinner with the Founders, Joey Rodolfo and Stacy Bennett, a Private Design Studio, and a Store Tour that includes selecting 10 items of your choice (transportation not included. Held in Seattle).